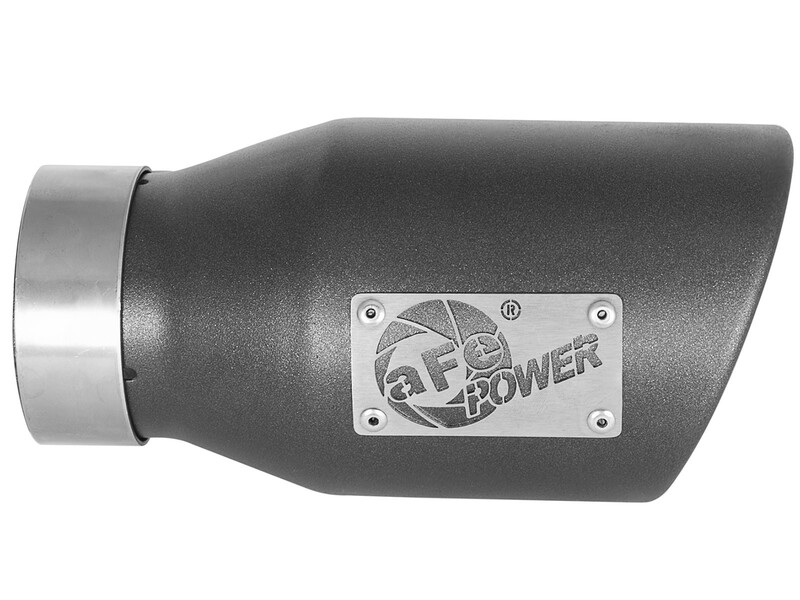 Upgrade your exhaust tip with a Mach Force Xp 409 stainless steel, universal tip designed to fit most 3" exhaust systems. 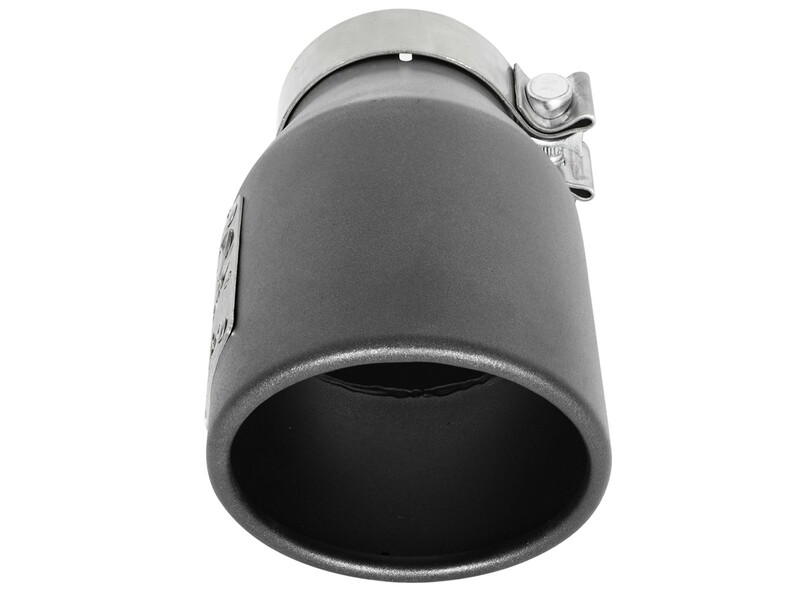 This 9” long, double-walled, slash cut exhaust tip is finished with a high-temperature, metallic black powder coating for corrosion resistance and a custom look. 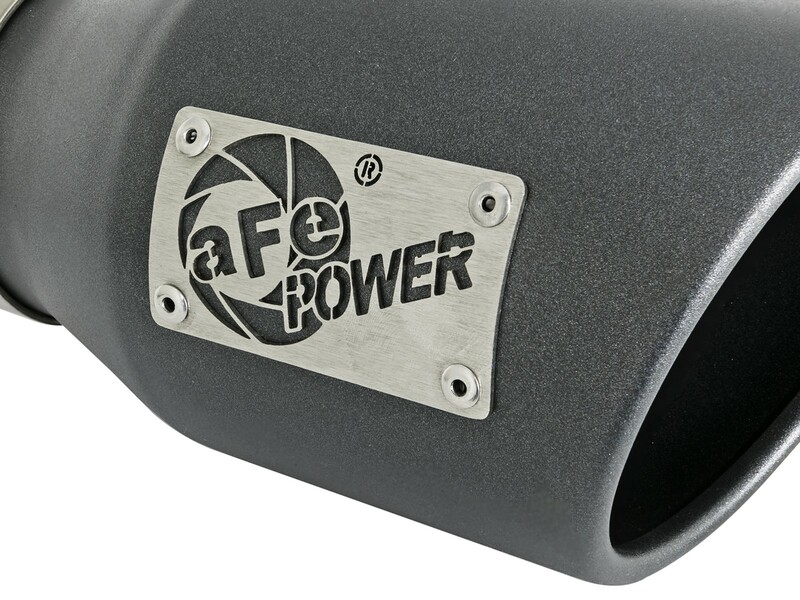 A unique laser-cut aFe Power logo plate is riveted on for brand quality authenticity and has a drain port built in for convenience. Completely adjustable, the tip includes a high quality stainless steel band clamp so there’s no modification or welding required. This tip is constructed using 409 stainless steel for maximum strength and durability. 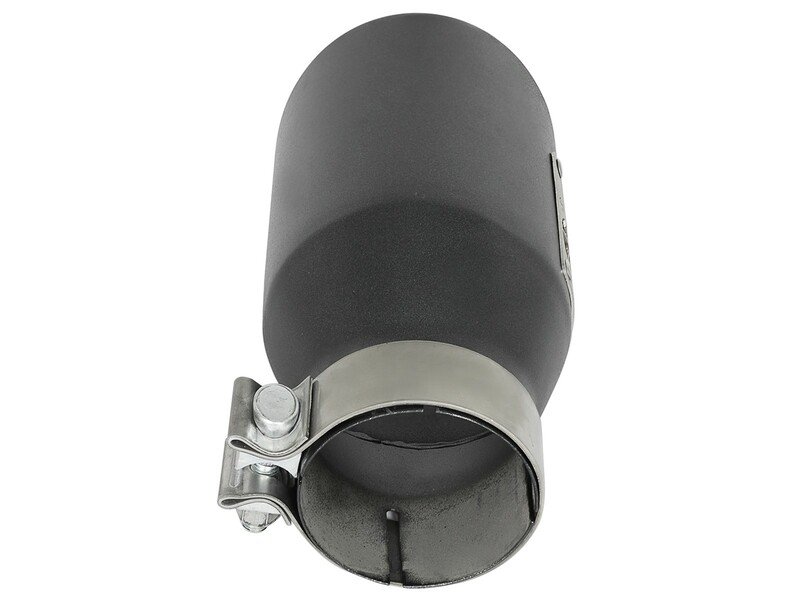 A high-temperature metallic black powder coating has been applied to the tip for corrosion resistance and custom look. A drain port on the bottom of the tip expends loose particles and condensation. 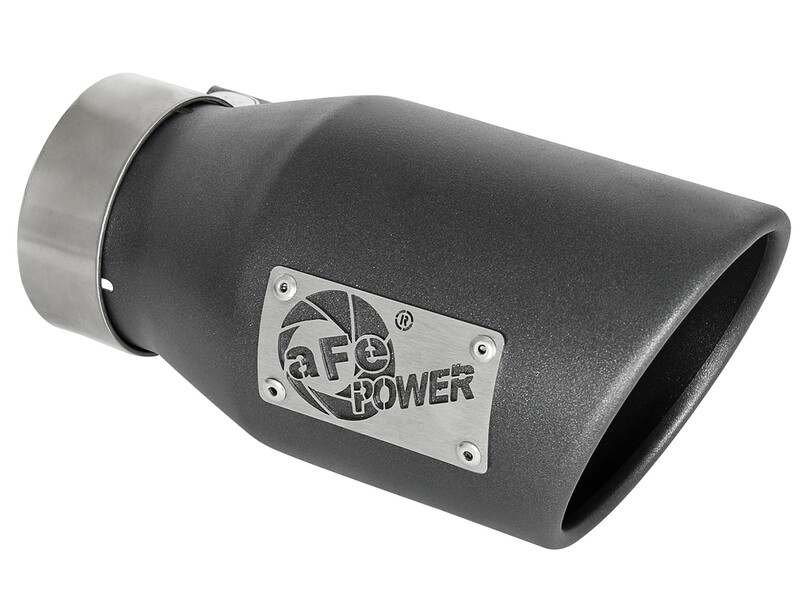 This tip features an aFe POWER laser-cut logo plate that is riveted on for brand quality authenticity. Universal tip - will fit to 3" stainless steel tubing. Tip comes slotted. See below for specifications.